The term “cognitive enhancement” distinguishes one area of mental capacities: the cognitive capacities in contrast to non-cognitive capacities. The widespread use of this term within the ethical debate about pharmacological enhancement suggests that the enhancement of cognitive properties raises particular ethical questions that are different from the ethical questions raised by other kinds of neuro-enhancement. Or, the suggestion is at least that cognitive enhancement raises the ethical questions with a higher intensity. This article examines whether these suggestions are correct. 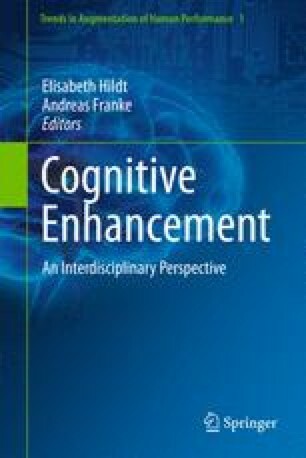 The purpose of this article is therefore not to examine the ethical questions raised by cognitive enhancement but to examine the question as to whether the ethical problems of cognitive and non-cognitive enhancement are significantly different and, therefore, whether the concentration on cognitive enhancement within the bioethical debate is justified. The result of this examination is: the suggestion is not correct, the ethical questions raised by the different forms of pharmacological enhancement are in most respects equal or similar, and the concentration on cognitive enhancement is largely not justified.